One fairy tickles the foot of the other as they play among the leaves. Their wings are decorated with Austrial crystals. 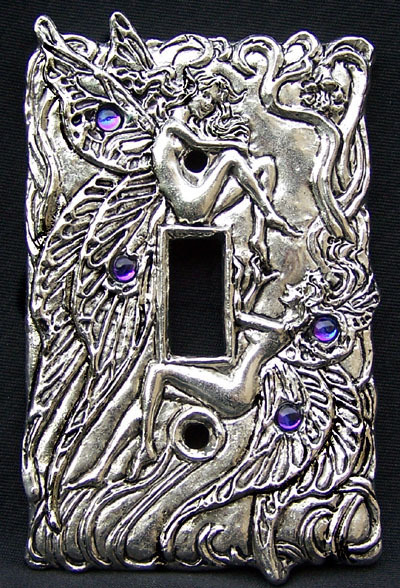 We make this by hand from lead free pewter to fit any standard light switch cover.